Do you have teeth that do not seem to fit together well when you close them? Have you ever been told by your sleep partner that you grind your teeth at night? Are your jaw joints, facial muscles or teeth throbbing or sore in the morning? Does your jaw ever click, get stuck or make a grating sound? If you answered positively to one or more of these questions, then you might have an uneven bite. Left undiagnosed and untreated, this may lead to TMJ. A class 1 malocclusion is the most common type of the three and seen as fairly normal, but there are still some issues caused by spacing or overcrowding. The upper teeth of a class 1 bite typically slightly overlap the lower teeth. A class 2 malocclusion is retrognathic. This means it is clearly defined by the prominent protrusion of the upper teeth and jaw overlapping the lower jaw and teeth. This type of jaw alignment is commonly called an overbite. 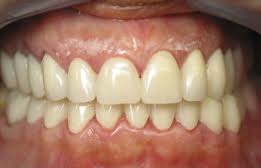 Medically defined as prognathic, in simpler terms a class 3 malocclusion is an underbite. The alignment of this bite is the opposite of a class 2 malocclusion. The lower jaw juts severely forward and overlaps the upper jaw and teeth. What turns a bite bad? How does a bad bite cause TMJ? 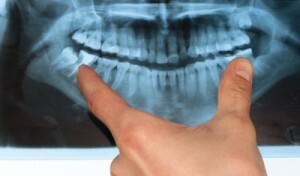 In addition to causing discomfort or giving the face an abnormal appearance, a misaligned bite places additional pressure on the TM joints. In many cases, the pressure is greater on one side and this may wear away the discs or force them out of the sockets. The physiologic system is delicately balanced, imbalance leads to muscle adaptation which causes increased pressure in the joints (intraarticular). A bad bite is not something that will eventually go away, and it does not improve without proper care. If it is left undiagnosed and untreated, it is more likely that the symptoms, pain and complications will continue to worsen and disrupt your life. We take a detailed medical history before conducting a full clinical examination of your dental and skeletal structure, jaw alignment and any other tests required to help us assess the root cause of your condition. After reviewing us findings, an individualized treatment plan is presented to you. Each person has their own uniques issues that must be addressed. This is not cookie cutter treatment but rather an individual diagnostic process. Naturally, you will have questions and concerns, but there is no need to worry. We are fully committed to educating our patients about their diagnosis and providing them with the answers. If you would like more information about uneven bites and how they may negatively affect your total body health and well-being, download a copy of our free e-book today. When you are ready to see if a misaligned bite is the reason for your pain, please contact our office to schedule your personal consultation. I have a really bad lockjaw and i have an appointment booked for Monday with a specialist. Some months ago a dentist filled one of my teeth, making my bite unevel, leading to me “smacking” my teeth together at night, causing my lockjaw. I went to a dentist to get it fixed, but SHE USED THAT DRILL MACHINE AND CUT PARTS OF MY ACTUAL TEETH. Im freaking out because she did that to ALL my teeth on my right side, what do i do?! She cut them so much, they don’t even touch anymore! So, half my teeth touch, the other half don’t even reach eachother! I ran across your article searching for damage from misaligned bite. I am 65 and recently wore Invisalign for 5 months when my bottom teeth began to shift (I wore braces as a teen). Now my rear teeth do not touch as there’s a slight gap between upper and lower. I’ve mentioned this to ortho and he said sometimes it happens. I’m more concerned that I’m not chewing food enough. Since braces came off in May, I’ve gained 7 lbs. I’ve never had weight issues nor needed to diet. Could it be the bite? Thank you!! Braces move teeth but often an orthopedic result gives the best approach. See fantastic reults with the DNA Appliance which helps duplicate normal eruption. It is possible to do sequential eruption of posteriors. Sometimes seeing an oral Myofunctionnal Terapist can resolve theproblem by retraining the tongue. Are you getting chronic headaches or TMJ pain at all? Hi. I am Getting my teeth fix (over crowded and malicusio 2) . My dentist put braces on my bottom teeth and an appliances on the top. (Palapal expander). I wore this appliance for six month. Now is remove but now i have an uneven bite. My left side teeth do touch but my right side does not. My dentis said not to worry that he does not see anything wrong. The appliance did not work now he wants to put another appliances a distilizer to pull my teeth back. I so worry cause I can’t sleep at night due to uneven bite and worry that this appliance won’t work too. Can this problem be fixed? In adults the DNA (RNA) appliance is my first choice of treatment to avoid those problems. It is removable and is worn 16 hoours a day allowing self correction during the other 8 hours.